2017 has been flown by and has definitely had its ups and its downs. Me and Liam have spent plenty of time together and are ready to buy our own place, we have definitely grown stronger throughout the year. I seem to have gotten closer with my parents again too, it was in February when I left my old job and begun working for my dad again, this has been a great experience as I am settled in the company which one day I may have control over. It has also meant going to site on a few occasions meeting new people which has helped me come out of my shell a little. I think it is also helping me grow up a little too. 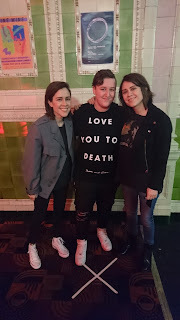 I got to meet friends that I made through Tegan and Sara this year as I went to 2 of their gigs, one in Manchester and the other in Birmingham. The Manchester one was particularly special as I actually got to meet Tegan and Sara, they are absolutely brilliant after both shows I also got to meet Ria Mae and Alex Lahey who's music I have fallen in love with. I even went to see The Courtney's and got to meet them all too, they really were amazing live and I would love to see them again. My mum also got us tickets to go see Steps and wow that really was a total throwback to my childhood, it is amazing how you can't remember two days ago but remember the lyrics and dance moves to every song. Two sports have taken over in 2017 for me and that is football and the wrestling. I have been to so many local wrestling events and can't wait to get to more in 2018, me and Liam even got to go to the WWE Live back in November which was amazing. Football is another one that has taken over most nights and weekends. 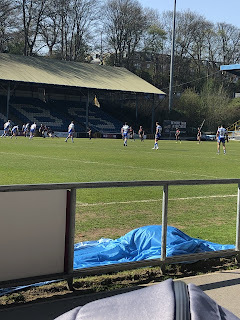 If we weren't watching Bradford City we were watching the Women's football. The Women's game seems to have come a long way in 2017 with England doing very well in the Euros and starting the world cup qualifying off brilliantly. Sure it has had it's troubles but honestly 2018 is a time to move on, England will have their new manager and surely the team will still do brilliantly. Not only have I watched the women's game over in England but I have also been following the NWSL and USWNT. I can't wait to get even more into it next year. There was also a lack of blogging this year, things just always seemed to get in the way for me, but in 2018 I will be posting a lot more than before with a lot more variety of content. I am also going to sit and plan things far in advance rather than just a few days before. So that is a snapshot of 2017 for me, I can't wait for 2108.